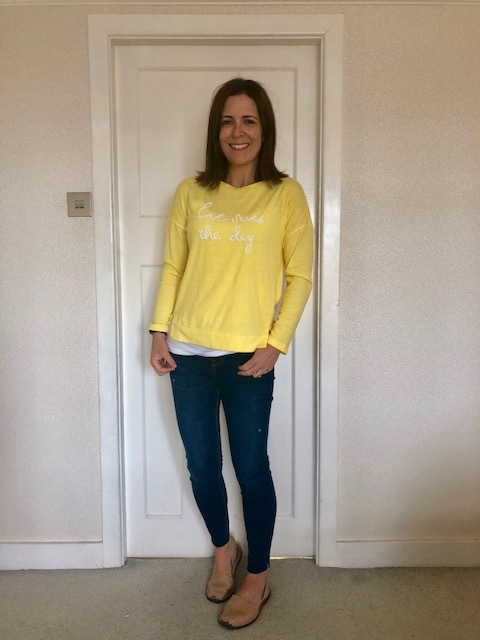 So I decided to spend some pre-loved proceeds on it and while I was at it I thought I'd order up a few extra bits and pieces to try on...everyone loves a bit of a try on! It all arrived bar the skirt (it's on a 5 week pre-order) and first things first, can we take a moment to appreciate how Hush deliveries are plastic free. Honestly amazing and I wish every other online retailer would take note. 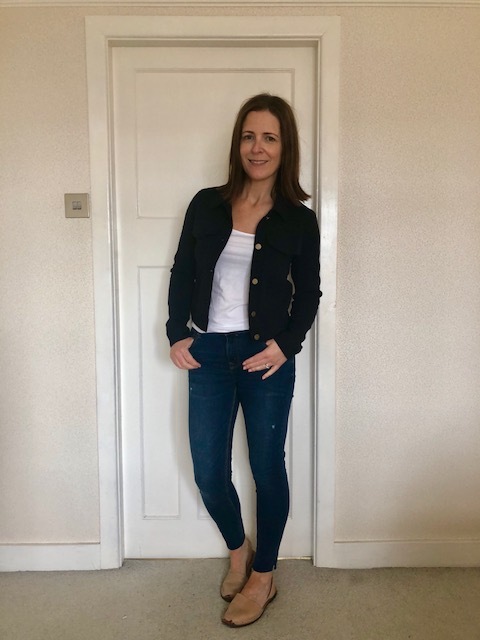 Starting with the Fitzgerald Jacket which I spotted Nikki over at Midlife Chic try on recently and loved. I adore the cut and shape of a denim jacket anyway and they suit my body shape. This navy jersey material version is the perfect way to dress up that look - a more grown up denim jacket you could say. I really wish it came in a grey colour too. 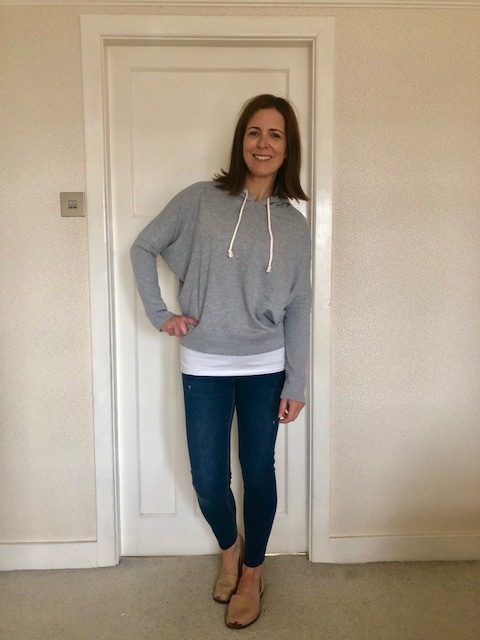 Next up, the grey hoodie and I'm usually reluctant to order something so basic as this at Hush prices but it had amazing reviews and I just wanted to try it for size. 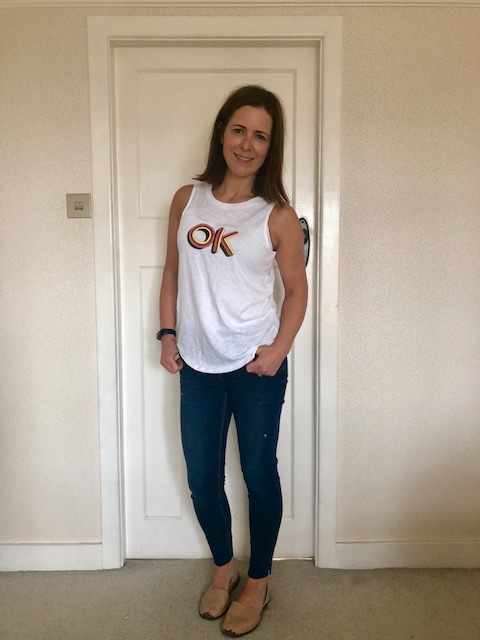 I'm a little on the fence with slogan t-shirts but the shape of this OK tank top was what encouraged me to order. The cotton is lovely and the slogan is glittery...making it a bit dressier than a white vest usually is. Colours are lovely too.. But it's too transparent for me - I'm wearing a vest underneath. I like it lots but not enough. 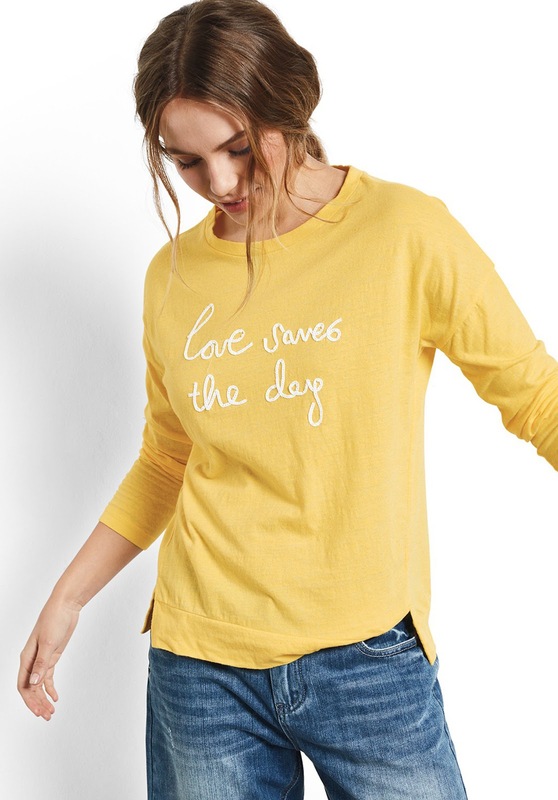 Finally, this yellow 'Love Saves The Day' long sleeved tee is a less expensive way to enjoy this season's Hush slogan from their classic slogan jumper. 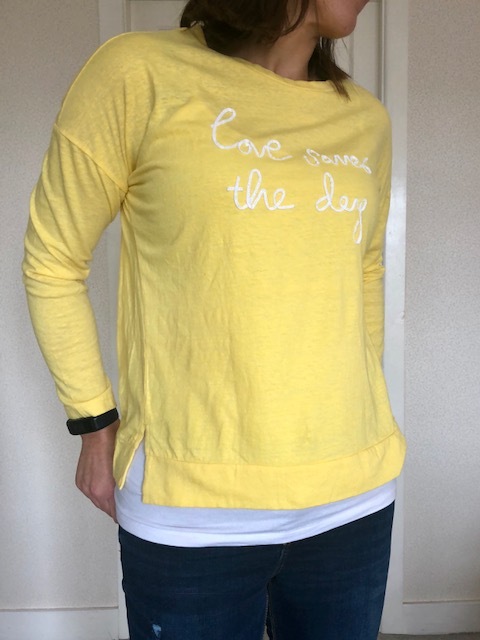 The yellow won't be for every skin tone and I hoped it wouldn't suit me but I actually really loved it too...aarrgggh. With this one too though it looks more opaque in the pictures than it is in real life. You need to zoom in on the pictures to see that it's a fine t-shirt material. Just so you know in case you want to order it. I've layered it over a basic Primark vest in these pictures. And there you go - I want it all and it's all sitting in the box saying 'keep me, keep me' but bottom line, I can't afford it all. So I'm definitely going to send back the both tops and pounce when the sale starts during the summer. Assuming they're still there 🙏🏼. Still on the fence re the jacket and the hoody. What if the skirt arrives but doesn't work? Dilemmas...but I'll update this post when the skirt arrives. Anyway, hope you enjoyed my little try on. I know I enjoy it when other bloggers do posts like this as it's great to see things 'in the flesh' so to speak. 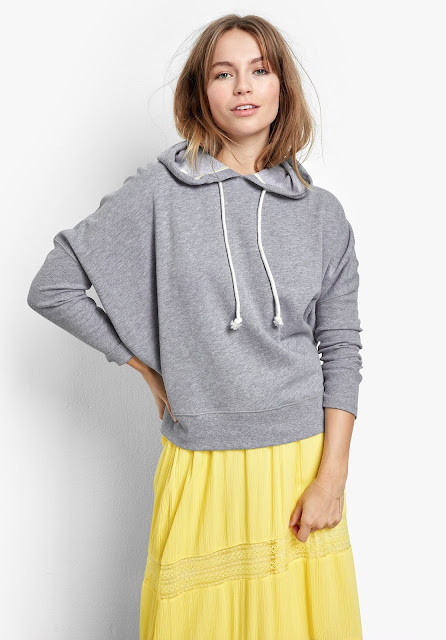 Disclaimer - I bought all the items featured in this blog post (though can't keep them all!). 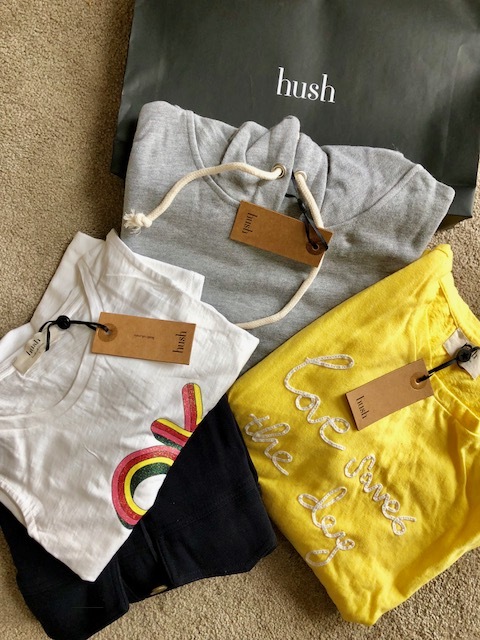 My links are affiliate link which means hush knows you came to them from my blog and they may pay me a small commission if you buy and keep the item. This doesn't change the price of the item for you and the modest proceeds from this go towards the upkeep of this website. I ordered a dress and a skirt .... and I'm still deciding. If I keep both, I must not buy anything else the rest of summer. And that's no fun.